We have neither parable, nor parabolic illustration in this paragraph; but we have the record of a parabolic and symbolic action on the part of our Master attempting to teach the church His threefold ministry taking His own to the perfection required to enter His Kingdom as perfected fellow servants who shall rule and reign with Him in His Kingdom. Our Lord's application of what He did shows what is necessary for those that are truly His as their journey ends as His is nearing. A Threefold Godhead works to save the elect and He does a threefold ministry as His part in the Godhead’s work of salvation. A past work (justification) (bread and cup), a present work (sanctification) (washing – of the feet), and a future work (glorification – wedding feast) at their journeys end whether by rapture or death. It occurs in this wonderful section of John's record in which our Lord is seen at the end of His public ministry alone with His own disciples. All the public teaching was over, and the works wrought in the sight of the multitudes had ceased. He had gathered around Him that first little band whom He had chosen to be with Him, and that He might send forth in His name. Through these chapters (John 13-17) there was no stranger there. Jesus was alone with His own. There were thirteen men there; our Lord Himself, and twelve others. Very soon the number was reduced. As a matter of fact, this very parabolic action led to the exclusion of Judas; the cleansing of His own. One was in need of exclusion; the rest needed their feet cleansed to picture His present ministry with His own as well as His final ministry when He returns a 2nd time. Don’t let church dogma exclude you from what He was here teaching His own. Peter had trouble with this teaching but was warned not to interfere with the Despot Who has all authority in heaven and earth. The One with the sole authority to teach the faith and practice of those who are still on this earth until His return that He promised. We give attention then to the action in itself, and proceed first to ask, what was our Lord intending to illustrate in His action on this memorable occasion? Then we will examine the figure revealed in the action, and which He thus employed for teaching His own. Finally we seek to gather for ourselves the teaching that lies within it. What was the subject He was illustrating? We have a remarkable glimpse here in the beginning, of the mind of the Lord Himself, His consciousness, the matters that were possessing His thought, and hav­ing their influence upon all He said, and all He did. That mind is remarkably revealed in the opening words of the chapter, "Now before the Feast of the Passover, Jesus knowing." This obviously was not the Passover meal, for it was the preparation meal the day prior. The Passover was tomorrow. That plain statement is hard for some people for their churches have doctrine that can't have that be true. And the other important statement is repeated in vs. 3, "Jesus knowing." His conversation with the Father hours before spoken of in John 12:49-50 says He has just received instruction from the One Who sent Him to earth to do His work giving Him a commandment, what He should say, and what He should speak. The importance of this is too often not recognized. And also He adds to the magnitude of what He was told to say but telling them the rest of what Daniel saw 100’s of years before when Jesus came out of the grave and returned to the One Who sent Him to receive what He tells them in John 13:3 concerning three“all things”. The Father had told Him to tell them He had been given “all things into His hands” at this point. Daniel saw that happen and told the Jewish nation that back in Dan. 7:13-14. What did He know? First that His hour was come that He should depart out of the world unto the Father (the Ancient of Days). I am not concerned with what follows, although it is important. John here emphasizes the con­sciousness of Christ at the time. That was the ultimate thing, the first thing, that He knew that His hour was come. What hour? That "He should depart out of this world unto the Father." (Dan. 7:13) The conscious­ness of Christ is marvelously revealed to us, and the merging in it of His knowledge of all that lay before Him, all the terror that was in front of Him, and yet the consciousness of triumph through the terror (Dan. 7:14). He knew His hour was come when the Greeks came. He then said "The hour is come that the Son of man (Jewish Messiah) should be glorified (job finished)." Perfection at the end (made perfect by the things He suffered) (Heb. 5:8-9). Now the hour was come. The Greeks could only see Him as He went down into death, and came out again in resurrection power, as the grain of wheat falls into the ground and dies. Now, He knew that the hour was come that He should depart out of the world. With all reverence, by way of interpretation, He knew how He was to depart out of the world. He had been telling His disciples for six months over and over again of the method of His going. This caused their hearts to be troubled. (John 14:1) Now He knew that the hour had come, and He knew the method of it, He knew the issue of it. Yes, He was departing out of the world, but where was He going? To the Father, and the note of perfect assurance and victory is there. That is one thing He knew. All things placed in His hands and under His control. Dominion, glory and His Kingdom awaited His entrance into the presence of the Father whom He was serving as the Son of man. What was the other thing that John says He knew? I am not concerned with the immediate application of it, but with the general stating. He knew that "the Father had given all things into His hands, and that He came forth from God, and goeth unto God." Daniel says dominion, glory, and a Kingdom awaited Him. (Dan. 7:14) Jesus knew scripture so well and had constant conversation with the Father Who sent Him that nothing came as a surprise. He knew by scripture that Judas had to leave the room. As in the case of the Temple cleansing He removed all that was untrue to this gathering of men. There was the consciousness that His hour was come, and there was the certain consciousness of His own authority, which He had received from His Father. "All things were delivered into His hands." And after coming back from the grave all authority was given to Him in both heaven and earth (Matt. 28:18). We look at Him, and as we look we wonder. All things? Just beyond is the Cross, when He was delivered into the hands of sinful men. That is only the surface outlook. All things were delivered into His hands, and He knew that; and He knew that He had come from God, and was going to God. Dominion, glory and a Kingdom and at the Second Coming the establishment of that for which He had come this time to introduce to His own, but they didn’t want Him ruling their lives. And that is the state of America, Europe, Africa and Asia including Israel, who is now in the center stage. They do not want God ruling their lives or their countries; that is individually or nationally or they would have accepted Who the Father sent.. That is the background. But what else is here? We have the background of the disciples, those who were round about Him, and of all that had been happening amongst them during the previous six months to which we have referred already. Ponder again carefully those last six months, from Caesarea Philippi and Peter's confession and the Cross. Do not forget He had never explicitly told them He was going to the Cross till then; but from that moment there was a feeling of estrangement. The ruling parties were plotting His murder while the disciples couldn’t believe His telling them of His departure especially through death. They could not understand. I am not criticizing them. They did not see the two comings in the OT scriptures. We should not have understood; and they did not. Even though we find over and over again our Lord told them about His Cross, took them aside to tell them, and to tell them carefully in detail; and in every case we find these two startling facts, that He never told them about His Cross but that He also mentioned His resurrection; and also that in every case, immediately after His emphasizing of His Cross, they were disputing, quarreling as to who was the greatest. There they were, men thinking about their own preeminence, and their own positions of power; and there is a sense in which that was all permissible, and yet it was entirely self-centered. They proved they were not capable of ruling and reigning with Him. He taught them power and authority only comes after perfect compliance to the Father’s will. Who is the greatest (Jesus)? In that Kingdom who shall have the position of power, and two men thought they ought to have it, and got their mother to speak for them. It is a way mothers have sometimes! Jesus informed them it was the one with a perfected heart, like the Servant of God Who came not to be served but to serve. When they had done this, the ten were angry with them for having done it and the reason was the ten were angry because they wanted the position themselves. That is not being unkind to them. There is the background. Jesus knew what was in their hearts, and by that symbolic action, that parabolic action, the subject illustrated was first the heart of the Lord Himself that those men might see Him by a simple act yet so sublime that it holds us in its control today. Therefore in order that they might understand what was lacking in the true responsibility of their discipleship, the subject illustrated in this parabolic action was the heart of the Lord, and the responsibilities yet future He would perform in order that they might rule and reign with Him in His Kingdom..
Now the figure itself. What was this that Jesus did? Vs. 10, "Jesus saith to Peter, He that is bathed needeth not save to wash his feet, but is clean every whit; and ye are clean, but not all." He spoke of Judas who was not bathed. Christ commanded him to leave and he did. I am not now concerned with the last part of the verse. "He that is bathed needeth not save to wash his feet." The Authorized Version renders this, "He that is washed needeth not save to wash his feet." You want power and authority in the Kingdom, you first need a cleansing in addition to the blood bath you already had. The Revised Version has the word "bathed," "He that is bathed." I think the word "bathed" is better, for there are two Greek verbs there, which give us in a flash the picture behind this, and the thing Jesus was using as an illustration. The first of the Greek verbs rendered "washed" in the Authorized, and now rendered "bathed" in the Revised is a verb that means just that, to bathe the whole person, the verb luuo; whereas the verb nipto is to cleanse the hands or feet, that is, wash, and it is distinct from bathing. Jesus said to Peter, He that is bathed only needs to wash his feet. To bathe meant complete cleansing, and the picture behind this is that of a man having been to the baths, and completely bathed, taking his way home through the dust of the highway, contracting dust upon his feet, and when he reaches home he will cleanse his feet from defilement contracted after he has bathed. That is an Eastern figure, and all would be familiar with it as Jesus said, "He that is bathed needeth not save to wash his feet." After the complete cleansing of the bath, that does not need to be repeated; but he does need to be cleansed from any defilement as he walks by the way. That is what our Lord was illustrating. So He said to them, you are all clean, but you are not home yet. You have all been bathed, but you may have contracted defilement in your walk to your new home. I will await you and wash you at your arrival. But you ought to practice this till you finish your course (John 3:14). The figure of speech was an Eastern one of the bath and the foot washing. Jesus was a Jew. He adds that happy, blessed (born-again) are those who follow His example (hupedeiknumi) or pattern for His own (John 13:15). He had just been given command of this by the Father Who sent Him (vs. 16) so now you have a moral obligation (ought) to follow Me. See Me as I am (1 John 3:2). The husband cares for His wife (Eph. 5:25-27) and those verses reveal the extent of His love (clear to the end of her journey - (John 13:1) which is to be the final washing so she arrives perfect at her new home. It was the Servant of God who was girded about the loins with a towel of homespun or common material. Jesus taking a towel, laying aside His garments, girded Himself, drew it around Him, and revealed to them of their need at the arrival of the home He was going to prepare for them. Taking a basin, and pouring water, He taught them His act He would need to do for them to complete their perfecting. Whether Peter was the first, I will not argue; but supposing he was, He knelt down at Peter's feet, and began as the Servant of God will do, to wash the feet of the disciples before they enter their new home that He was going to prepare for them. When Peter protested, Jesus said, "If I wash thee not, thou hast no part with Me." Perfection is required at the end of the journey (Matt. 5:48). I love to read his answer, after his protest, "Lord, not my feet only, but also my hands and my head." You only need bathed once but the cleansing after salvation is different. Did Peter understand that last phrase of the Sermon on the Mount. Did he realize the necessity of that final cleansing before going into the presence of the Father, the ancient of Days. Yes, Peter came to understand. He came to know that in that hour he saw into the very heart of Jesus. There was the outshining of the grace of God in the marvel of that action. He emptied Himself, He humbled Him­self, He bent. He was their Lord and Master. They called Him that. He was their Teacher and their Lord. He said, you are quite right. I am your Teacher, I am your Lord. But what is the Teacher doing now? What is the sovereign Lord of all authority doing now? Behold His final work with a believer before entering into the presence of the Father of Jesus. Before entering into glory. No, said Jesus, you do not understand now, but you will someday. They were in need of the Comforters ministry in their minds and hearts to understand the Masters teaching. Then He applied it in words we have already referred to. "If I then, the Lord and Master, have washed your feet, ye ought also to wash one another's feet." What does it mean? He knew that in the walk of those who were cleansed by the bathing there would be the contraction of defilement; and they would need the washing of the feet until the day they leave this earth. He said, you have seen Me do it; you ought also to be ready to do it for each other. Paul was writing to the Galatian Christians and he said this (Gal. 6:1), "Brethren, even if a man be overtaken in any trespass, ye which are spiritual, restore such an one in a spirit of meekness, lest thou also be tempted." What our Lord was saying to His fellow disciples was, I know the way, all along this pilgrimage cleansed men will contract defilement. When your brother does, your business is not to emphasize the defilement, not to turn to your brother the cold shoulder of pride and indifference. Your business is to at­tempt to wash his feet, to restore such an one, as Paul says, in the spirit of meekness. As we do that, the grace of our Lord Jesus Christ shines out, and the glory of the triumph of love is manifested in us and through us knowing our need at the end of our journey here. We need the whole church gifted by the Spirit to exert the labor as their Teacher taught for their arrival in the Kingdom, cleansed thoroughly and therefore perfect ready to go into the presence of the Ancient of Days and then to return with their Lord and Master to rule and reign with Him in perfected bodies wearing white robes. To God be the glory for accomplishing this amazing work. And it took all Three for us to arrive at His prepared home perfect. We shall enter His gates with singing, bathed, washed and perfect. He loved them to the end symbolizes that their perfection at the end of their journey is sure. Perfection-Ultimate destination of the walk of the Christian. Matt. 5:48; Eph. 4:13; Phil. 3:12, 15; Col. 3:28; 4:12; 1 Thess. 3:10; 2 Tim. 3:17; Heb. 2:10; 13:21; James 1:4; 1:17 (a gift from above); 3:2; 1 Pet. 5:10; John 4:17, 18. Gal. 3:3 flesh does no good. Heb. 5:9 He makes this possibility certain. Heb. 7:19; 10:1 Law couldn't but a better Way could make it possible. Heb. 11:40 not just the Church saint. Heb. 12:3 more groups involved for all must be perfected to enter the Kingdom of God. This the fourth of the parabolic illustrations used by our Lord in connection with His great claim, "I am," "I am the good Shepherd." We have already considered three; "I am the bread of life," "I am the light of the world," "I am the door." Now that of the good Shepherd is closely linked with that of the door, and by way of introduction we must tarry with that fact. Our Lord had made use of that illustration in that claim, "I am the door of the sheep"; in connection with the same teaching, "I am the good Shepherd." We ask then, what was He illustrating? Then we will consider the figure itself, in order that from it we may deduce the teaching intended by our Lord, when He used this figure of the good Shepherd. When the Lord had opened the eyes of the blind man the people brought him to the Pharisees, the religious authorities. The man grew in understanding himself as he talked to them, until they were angry with him; and as John tells us, they cast him out, which meant that they put him out, not of the temple precincts, but they excommuni­cated him. They put him outside the covenant and outside the estab­lished order over which for the time being they were in authority. Whether their exercise of authority was good or not we are not discussing. We know it was not. When the Lord knew they had cast him out, He found him and there passed between this man and Jesus that little conversation and He asked, in effect, do you believe in Me? In that moment Jesus received him to Himself. It was then He said, "I am the door," and by that figure of speech He claimed that He was the way of entry into a new order entirely, the Kingdom He came to announce was near and the need for repentance in order to enter. That may be put in another way. They had excommunicated the man, and Jesus excom­municated them which brought the hatred that brought about His death.. He did so on subsequent occasions more definitely and specifically, when He said the Kingdom of God should be taken away from them. By that action He was putting Himself in the place of authority, and He was receiving this man into the Kingdom that He was in the world to set up. Then He said, "I am the door." By that He claimed that He was the way of entry to that Kingdom, that men should enter into it through Him, as this man had done, when he had submitted to Him in belief, and worshipped Him in person. One man amongst a nation that needed to accept Him as the King. We now come to the second thing. Under that claim, "I am the good Shepherd," He revealed the nature of the new order as was true with Moses as well as King David. This man had been received into that Kingdom, in which He is the way of entry, and then still in that same realm of ideas, He said, "I am the good Shepherd." Those were the circumstances and the evident intention of our Lord in the use of these two figures of speech at this point. We now confine ourselves to the wonderful figure, and ask again what was the figure which He employed? It was a figure of a shepherd with folds and a flock. The fold is an enclosure. The flock is those who are enclosed. It is important to make that distinction. He did not say there should be one fold and one shepherd, but one flock (Israel). There may be many folds, just as in that Eastern country. The shepherd in that land may own two or three dozen sheep, and they can be folded in many folds, but it is one flock. The unity was not created by the fold, but by the nature of the sheep, and their relationship to the shepherd. The shepherd was the one not only able to take charge of the flock. This is an Eastern picture, different from anything we know in this country. The sheep know his voice. That is literally true of Eastern shepherds. If a stranger came along, the sheep would shrink back; they know their shepherd's voice (OT), and follow when he calls. He was in charge of them, and it was his work to lead them out of the fold to pasturage (OT), in order to the sustenance of their life. Of course it was also his work to defend them against wolves, or any enemies. That was the Eastern shepherd. quoted. Our Lord was talking to His disciples one day, and said to them, "Fear not, little flock; for it is your Father's good pleasure to give you the Kingdom." (Luke 12:32) I can imagine a purely literary critic coming to that sentence in some booklet published tomorrow, who might indulge in pleasantries. He might say, the writer now broke down in his employment of his figures. He first suggests the flock of sheep, "Fear not little flock." Then forgetting that, he went off to the idea of the family, "It is your Father's good pleasure"; and before he finished, he had forgotten that figure also, and used the figure of a nation, "to give you the Kingdom." We know perfectly well how­ever that though the figures merge they do not mix. Those are the three elements that constitute Kingship ideally in all that Eastern country, and ought to everywhere. The king should be the shepherd of his flock, the father of his family, the one in authority over his nation. When our Lord said quietly, but with august majesty and dignity, "I am the good Shepherd," all those figures, all those implica­tions of the figure of the shepherd and the flock, unquestionably merge in His claim, "I am the good Shepherd." We come now to the utmost matter. What was the teaching, the thing revealed? What did Jesus claim when He said that? Two things, absolute authority and constant care in and over the new order that He was in the world to establish. God had established the order of the Hebrew people but they had broken down. Need that be argued or even illustrated? Is there anything more ghastly than the failure of the Hebrew people from the beginning to the end? They were always failing, and they never failed more disastrously than when they wanted a king "like the nations." In that act, as God said to Samuel, they had rejected Him from being King. It had gone on through the ages, and the last thing the Hebrew people did to prove their ultimate and appalling catastrophic folly and sin was to crucify the Son of God. So God was superseding the order definitely established; as the writer of the letter to the Hebrews said, the law "made nothing perfect." It broke down and failed, and its failure was manifested in that one incident. When those men in authority put this man out, they revealed their failure. Then Jesus took him in, and admitted him to the new order to which He was the door. Now He is in authority. I am the King. I am the Father of the family. I am the Shepherd, the good Shepherd of all the flock. We see then a new order emerging in human history, by the act of God. The same Kingdom, the same eternal Throne, but in its administration in earthly affairs, a new dispensation, a new economy. When Jesus said, "I am the good Shepherd," so simple, so beautiful, that all our hymns express it in the terms of tenderness and love; there is more in it than that. If there is in the claim the evidences of infinite ten­derness, there is the evidence of supreme authority. "I am the good Shepherd." It marks not only authority, but it does mark care in every way. As our Lord went on speaking, He revealed the method of His authority as the good Shepherd, that great title in which there merge the ideas of Kingship, of Fatherhood, and Shepherdhood. He shows how He exercises that authority and that care. In verse eleven He says, "the good shepherd layeth down his life for the sheep." In verse 15 He says, "I lay down My life for the sheep," and again in verse 17, "Therefore doth the Father love Me, because I lay down My life, that I may take it again." There is a growth of teaching here. How will He lay down His life? In conflict with the wolf, who comes to destroy and to harm, to harass, and to kill. In order to over­come that wolf, I will lay down My life; I lay down My life on their behalf. That is the idea of the first verse. Then presently there is something else. "I lay down My life that I may take it again." That is more than dying; that is rising. That is more than going down to death in the grapple with the wolf, and the wolf kills. But He is coming through and out and beyond the grapple with the wolf into the place of victory over him. "I lay down My life, that I may take it again." Daniel 7:13-14 I saw in the night-visions, and, behold, there came with the clouds of heaven one like unto a Son of man, and he came even to the ancient of days, (the Father) and they brought Him near before Him. And there was given him dominion, and glory, and a kingdom, that all the peoples, nations, and languages should serve him: his dominion is an everlasting dominion, which shall not pass away, and his kingdom that which shall not be destroyed. He died, rose to heaven to His Father, to receive that Kingdom, to bring it to earth and establish it where the 144,000 shall enter along with people, nations, and languages that shall never pass. Never forget the nation He made promises to that would never be forgotten. Then follows that august claim, "No one taketh it away from Me, but I lay it down of Myself. I have authority to lay it down, and I have power to take it again." Here is the second idea; laying down His life for the sheep first in conflict with the wolf; laying down secondly, His life that the sheep may share His life. He takes it again to bring His sheep into union with Himself; victory over the wolf, and conflict that issues in victory; and then fellowship with the King Himself in consequent life. "I lay down My life that I may take it again." Thus the two statements are interpreted by what He says in verse 17, "Therefore doth the Father (the ancient of days) love Me, because I lay down My life, that I may take it again." "I am the good Shepherd," in com­plete authority, having the care of the sheep; and My method of Kingship is first dying to kill the wolf; rising to share My life with the sheep who have been delivered from the wolf. Then it was that He glanced on, and took a larger outlook upon this new order. He said, "Other sheep I have, which are not of this fold; them also I must bring, and they shall hear My voice, and they shall become one flock, one Shepherd." Not one fold necessarily, but one flock. It is interesting to remember how in the next chapter (11), we have the striking story of Caiaphas, the clever and astute politician. When these enemies of Christ, these men exercising authority in a wrong way, were plotting as to what they should do with Him, Caiaphas rose after their discussion, and introduced his subject by that excellent formula, if one wants to be heard, "Ye know nothing at all." He said this, "It is expedient for you that one man should die for the people, and that the whole nation (Israel) perish not." Then follows this remarkable little passage of interpretation. "Now this he said not of himself; but being high priest that year, he prophesied that Jesus should die for the nation Israel; and not for the nation only, but that He might gather together into one the children of God that are scattered abroad." "Other sheep I have, which are not of this fold; them also I must bring, and they shall hear My voice; and they shall become one flock, one Shepherd." Again, what was the deep secret of His authority, the secret of His care, the secret of His laying down of His life for the sheep? "Therefore doth the Father love Me, because I lay down My life, that I may take it again." The deep secret was the Father's love, and the love of the Son in co-operation with the purposes of the Father. So we have the claims of the Kingdom. Jesus the good Shepherd, in authority, caring, acting by laying down His life in conflict with the wolf, acting by laying down His life, by taking it again, that it might be shared by His own; so creating and constituting the new order of the Kingdom of God under His authority. Go back over the Old Testament, Psalm 23, Isaiah 60, Jeremiah 23, Ezekiel 34, 37, Zechariah 11, all these are about shepherds, all looking on to the same great Shepherd. Here we stand and hear Him say, I am He, I am the Shepherd fulfilling the idealism of the Psalms, realizing the ideal of the prophets, all of them; "I am the good Shepherd," I am the Shepherd, the good. That is the form of the statement literally in the Greek. Something may be missed by hav­ing changed it. "I am the Shepherd, the good." Then we come to His statement, "I am the true vine," literally again, "I am the vine, the true." The very form of the sentence suggests comparison with all others, He said "All that came before Me are thieves and robbers," that is, all who claimed absolute authority, as those rulers did when they put the man out. They were thieves and robbers. He said, "I am the Shepherd, the good;” and the word good there is beautiful. It is the Greek word kalos, which is rendered beautiful, noble, true, as well as good. It was a word that marked the attributes to all perfection; and they all emerge from and merge in Him forevermore. He is the Shepherd true, noble, beautiful, infinite in wonder. This all ends with the first words, "I am," God manifestly seen and heard, heaven's beloved One. "I am," King, Father, and Shepherd true. It will be remembered that John has recorded eight occasions upon which our Lord employed the Divine name, "I am," in making claims for Himself. Of these three are essential, plain declarations, "Before Abraham was, I am." "I am the resurrection and the life," "I am the way, and the truth, and the life." With these we are not dealing in this present series, which is concerned with the parabolic illus­trations. Of the eight, five were such of the essential claim as it was uttered in the words "I am." This is the third of these, "I am the door"; and it is closely linked to the next article on the good Shepherd. Yet the phases are so different so that we take them necessarily as separate articles. We consider then this illustration, "I am the door"; following the usual method of probing the subject our Lord was intending to illustrate; then considering the figure He employed; deducing from these two things teaching for ourselves. What was it that our Lord was illustrating? 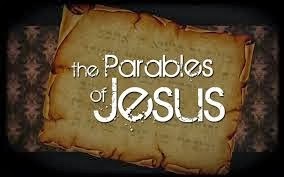 We may take these parables of Jesus, and apply them in ways that are really not appro­priate, and so miss the real value of them, unless we know what our Lord was talking about at the time. His friends and His critics were round about Him when He said, "I am the door." Looking carefully at the passage in verse 7 we read this, "Jesus therefore said unto them again, Verily, verily, I say unto you, I am the door of the sheep." Whenever we read "therefore" we ask, Wherefore? What does the therefore lean back upon? Go back to the previous verse. "This parable spake Jesus unto them; but they understood not what things they were which He spake unto them. Jesus therefore said unto them again." He repeated the parable in a new form, and with a new emphasis, "I am the door of the sheep." 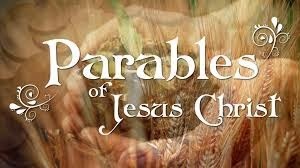 The word "parable" in verse 6 should not be there, for John never uses the word parable, though we sometimes render it so. That is inadequate. For our understanding, it would be better if we used the word allegory. That is the word of John. This allegory spake Jesus to them, and they did not under­stand. Now we find out why He said again, "I am the door." 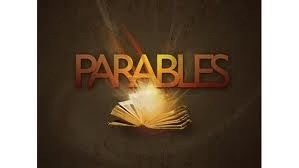 But what was the parable? It is the parable of a door; it is the parable of a way into a fold through the door; the only way into the fold through the door. So the word "therefore" drives us back to verse 6, which explains the "therefore." The reason was that those who heard Him speaking did not understand what He had said, the alle­gory He had employed of a sheepfold, and a door of entrance. What then was it all about? Why did He use that parable? It was a remarkable thing Jesus said. In the background we have the account of His giving of sight to a man born blind. Everything grew out of that. It is the only record we have of Jesus dealing with what we call now congenital disease, a man born blind. We remember the account. When He had given that man his sight, it aroused a great deal of interest and attention among the people, and they were very much puzzled by it. What did they do? Arrested, perplexed, they took this man to the constituted religious authorities. The Hebrew background of authority is seen in this account. The Pharisees were those who, as Jesus said upon another occasion, sat in Moses' seat. They were the interpreters of the law; but they had become far more than that. They had become those who claimed full and final authority to interpret the order of life. The people brought this blind man to them. Without going into the wonderful account of what happened, I come to the consummation where I find this statement (9:34), "They answered and said unto him, Thou wast altogether born in sins, and dost thou teach us? And they cast him out." Be particular when you read that. Do not imagine they were in some room of the temple courts and that they went to the door and put him out. It is far more than that. They pronounced upon him the word of excommunication. They put him out of the order in which they themselves officiated. They resented any interference. As we look back, we see a strange thing happen. The man born blind, who has received his sight,—and he is quite certain of that, who is in controversy with these very rulers, is approaching a larger understanding of the fact of Jesus Himself. "Whether He be a sinner, I know not," he said at one point. Then he went further and said, How has a man who is a sinner done this thing? They replied, "Dost thou teach us?" and they put him out. They would brook no such interference with their religious, legal, or civic authority. Consequently they put him out. He was cut off by their action from relationship with that whole order of life, in which he had been born, and to which they all belonged. The second great healing for this man was the authorities excommunicating him. What happened? Jesus heard that they had excommunicated him, that they had cast him out, and finding him, He said, "Dost thou believe on the Son of God?" And the man answered, "And who is He, Lord, that I may believe on Him?" There is a recognition of super­iority expressed in terms of courtesy, "Who is He, Lord, that I may believe?" And Jesus said, "Thou hast both seen Him, and He it is that speaketh with thee." Israel’s Son of man, the Messiah is speaking with you. And the man said, "Lord, I believe. And he worshipped Him." Two scenes. A man excommunicated by the religious authorities. Jesus found him, challenged him on one central point, that of His own personality, His claiming to be sent from God, and the man did not understand; and yet there was something in the very tones of Jesus, so that the man said, I believe, and he worshipped Him. Excommunicated, put outside, the door shut against him by the religious authority; and Jesus stands in front of him, and opens a door into a new order, receives him to Himself, accepts his worship. Then Jesus turning to those who were round about Him, Pharisees and others, said, "He that entereth not by the door into the fold of the sheep, but climbeth up some other way, the same is a thief and a robber." They did not understand Him; therefore He said again, "I am the door of the sheep," and now, "I am the good Shepherd." The two statements are linked. However, we are dealing with the first. We see something not fanciful, but something very real, though at this distance we may forget the surroundings, the people round. The dis­ciples saw what He was doing. The man had been excommunicated. Then He went to him, He received him. Now He says, what I did was to present Myself to that soul as the Door, entry through which he found himself in a new order, an entirely new economy. The subject then our Lord was illustrating was the institution of a new order altogether, a new economy, entry into which was through Him, and through Him alone; the fold, and the way into it. This man had been admitted into the fold by that way. Stay now with the figure itself, an Eastern fold. Jesus said in the first verse "the door into the fold of the sheep." We must be careful to draw the distinction between the fold and the flock. The fold was a walled or palisaded enclosure, always open to the wind. The very word translated fold implies that, the sweeping wind, not a roof, but an enclosing wall. The sheep did not climb the walls. In that country there was only one entry, one door, never two. The door—apparent paradox—was merely an opening in the wall or palisade. It was never a gateway in those Eastern folds, never a door on hinges. It was merely an opening. That is the picture that was in the mind of Christ, familiar to all in Israel who heard Him when He said "I am the door of the sheep." An illustration had much effect upon me many years ago now, and I have quoted it before, but will repeat it. Hear the account of a man named Sir George Adam Smith. He gives this account. He was travelling in the East one day, and came up to one of those folds, a wall in this case, and there was an opening in the wall. The shepherd was on hand, so Sir George said to him, "Is that a fold for sheep?" "Oh yes," he replied. Sir George then said, "I only see one way in." "Yes," said the man, "there it is, there is the door," pointing to the opening in the wall. Then Sir George said to him, "But there is no door there"; and to his amazement—for it was nat­urally said, they were not talking of the New Testament, or of Christianity—this shepherd said to him, "Oh I am the door." Sir George said his mind went back to John's record. He said to the shepherd, "What do you mean, by calling yourself the door?" To which the shepherd replied, "The sheep go inside, and I come there and lie down across the threshold, and no sheep can get out except over my body, and no wolf can get in except over me." That illustration is enough. "I am the door of the sheep." We come to the subject of the shepherd in our next article. But what does all this mean? Keep in mind the surroundings, the blind man excommunicated, and admitted, put outside the ancient order, but brought into close fellowship with Jesus. What did He do that day? His parable illus­trates what He did. First we see in that act, perhaps the first of its kind in the ministry of Jesus, His replacement of a failing religious order. He came to announce the arrival of the Kingdom of God and that Kingdom has a Door which is the Son of Man Whom Jesus claimed to be. The Jewish order had excommunicated the man. What did Jesus do? Christ excommunicated the whole order. He put it outside the realm of authority for entrance into His Kingdom. That is what He meant when He said, "All that came before Me are thieves and robbers." Israel had imposters taking the nation to hell itself not into the Kingdom. That verse seems to have troubled some people. He was not referring to the prophets and Moses who spoke of the Ruler to come. He was referring to those who were claiming that final authority that these men claimed, when they excommunicated the man from possible entrance. In that sense in which they had claimed authority they were only thieves and robbers. He claimed to be the door, the replacement of a failing order. My mind travels away to that parenthesis in the letter to the Hebrews, when the writer said "The law made nothing perfect" There the reference was not to the law of God merely, but to the whole economy supposedly based upon the law of God. But it had perfected nothing. All it had done in the case of this man was to put him outside, excommunicate him. Jesus once said, addressing these very rulers, "Woe unto you lawyers! For ye took away the key of knowl­edge; ye entered not in yourselves, and them that were entering in ye hindered." They supposed they were putting a man outside the pale of religion. They were really preventing him, and yet preparing him for entering into that realm, as it was now to be administered by the Lord Himself. It is beautiful here to see what He says in the 9th verse, as the result of entering in through the door. "I am the door; by Me if any man enter in, he shall be saved, and shall go in and go out, and shall find pasture." Three things, ponder them. If any man enters through Me into this new order, into this fold, and becomes a member of the flock, he finds salvation. That is the first thing. "He shall go in and go out," the pathway of service. But he shall also find pasture, he shall have sustenance. How does it all begin? Go back and look at that blind man face to face with Christ. "Dost thou believe on the Son of God?" Some MSS render that "Son of man." That was how He is named in Daniel 7:13-14. Whichever rendering is accepted makes no difference at all; for "the Son of man" was the Lord's favorite description of Himself. He here called Himself the Son of man which gives value to the thought. Dost thou believe in Me, Daniel’s Son of man? And the man said, Who is He, that I may believe? Let us try to put ourselves into the soul of the blind man. For the first time he had been able to see, to look upon the shimmer of the waters of Galilee, had seen his mother's face, and was able to see this Being, and He says, Thou hast seen Him, and I am He. At once the man's soul went over to Him in glad surrender, "Lord, I believe," and he offered Him worship. That is how he went into the fold. That is how every man enters the fold. That is how every human being enters, face to face with Christ Who challenges them. He does not ask us if we believe the Apostles' Creed. He does not ask if we have accepted this view or the other, but, Who am I? Do you believe in Me? Yes, I believe, and believing I worship. So the fold is entered. The overwhelming revelation is that Christ is the way of entrance to the fold of the Kingdom of God, with all its privileges and all its responsibilities. If other systems professedly having all authority cast men outside, He confronts them and says, Here is the door, here is the way. All this harmonizes with what He said to the disciples a little later on. "I am the way, and the truth, and the life; no one cometh unto the Father but by Me." The fold is the place of the Kingship of God found, yielded to, acknowledged; and the way in is Christ. He stands in the gap and says, "I am the door." To go back to Sir George Adam Smith's account, He is the door, and we cannot go out except across His body, and no ravening wolf can reach those sheep except across His body. "I am the door."